Slatter Management offers an HOA Accounting Only package for neighborhoods with Homeowners Associations across the US. We understand the challenges a self-managed community faces. Financially managing a Community Association is a complex task full of legal obligations and emotional homeowners. When Slatter Management partners with your self-managed Homeowners Association, we take on the HOA Accounting role so the Board may focus on the day to day operations. A smooth and speedy transition, by transitioning your community to our HOA Accounting Services in as little as five business days. The challenge of having to collect HOA dues from your neighbors by giving them multiple ways to pay and diligently following up with those who are behind. Slatter provides a professional cushion between your position as a board member and your role as a neighbor. Keeping up with the HOA’s bills and financial reports. 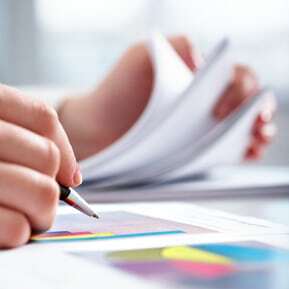 Our professional accounting staff diligently maintains accurate records and oversees all accounting matters, including budget and delinquency control. “Where do my dues go? What is my money spent on? I never see any financials!” These are issues that many board members hear repeatedly. Slatter provides timely, clear, and concise financial information, providing the board with the tools needed to maintain a happy membership. Slatter Management takes pride in offering homeowners associations an economical advantage when trusting us with your HOA accounting needs, and only providing the highest quality of service.